Have you ever attended a meeting where the organizers have no idea what they’re doing and that they don’t even know what to discuss? How did you feel as an attendee? At one point, you were bored and that you left the meeting with no knowledge gained from it. 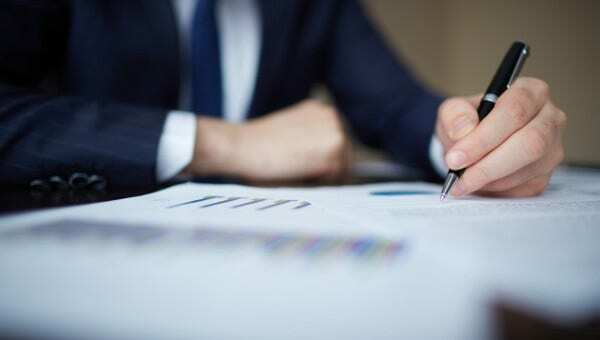 When conducting meetings, for it to run smoothly and effectively, the organizers should prepare an agenda at least three days before the date of the meeting. 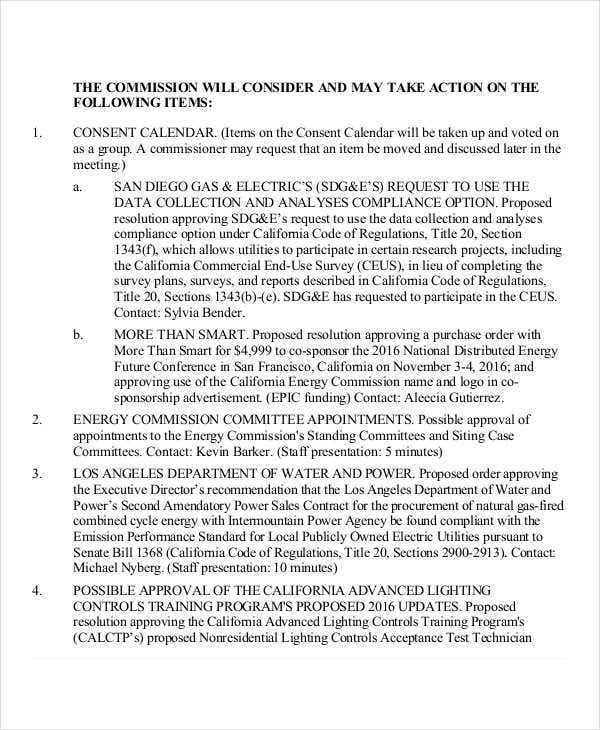 This way, they will be prepared on what to take up during the meeting. 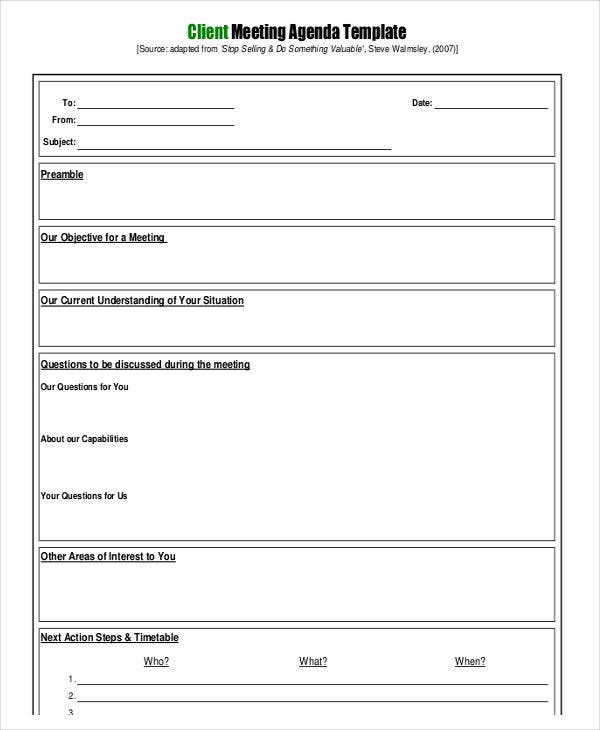 If you don’t know how to make a meeting agenda, then check out our website for some Simple Agenda Templates that you can use. 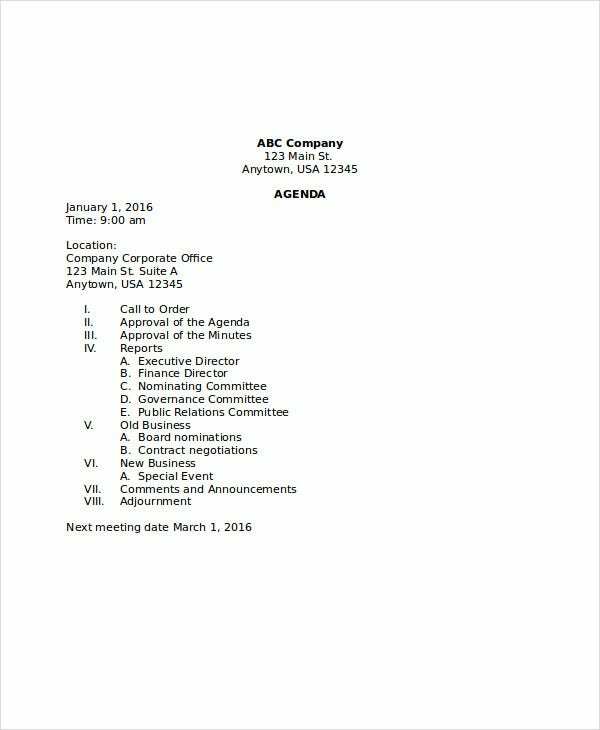 A meeting agenda is defined as an order of activities to be taken up during a meeting. It usually starts with a call to order and ends with the adjournment. 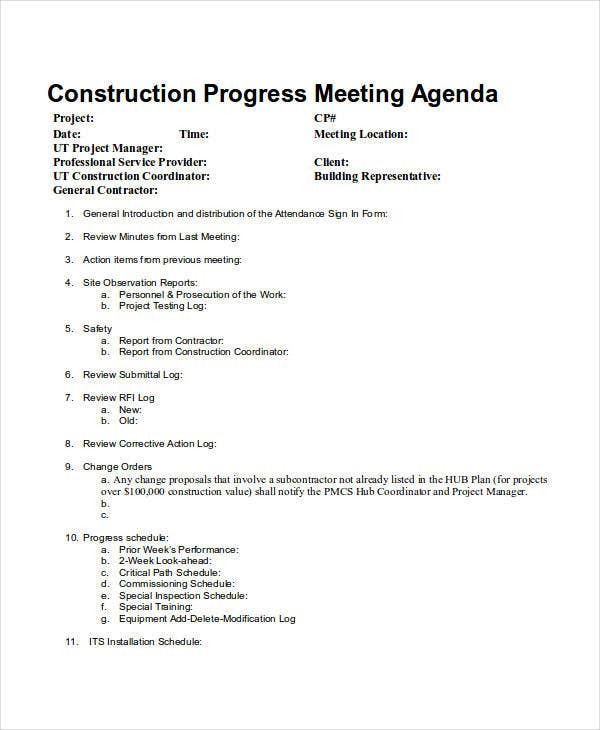 Sometimes called a business calendar, it is usually headed with the date, time, and location of the meeting and is followed by a series of points that outline the sequence of the businesses that will be discussed. 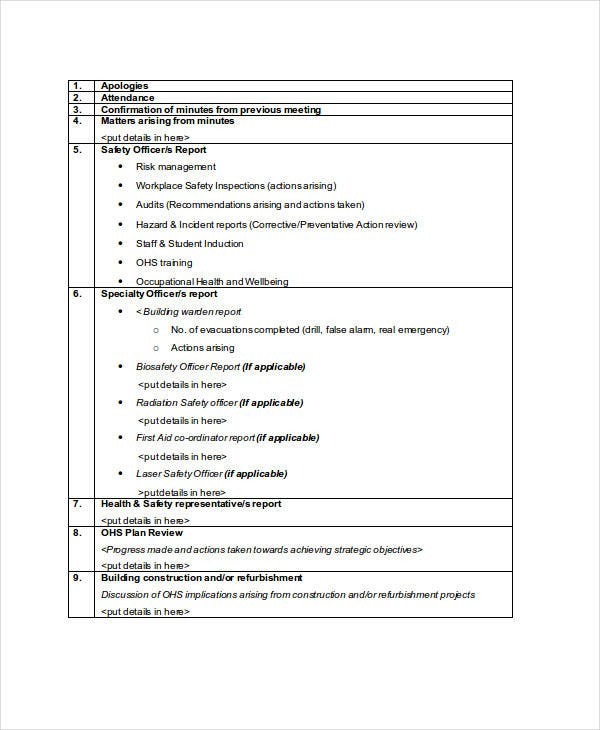 For more agenda templates, check out our collection of Board Agenda Templates and Interview Agenda Templates. 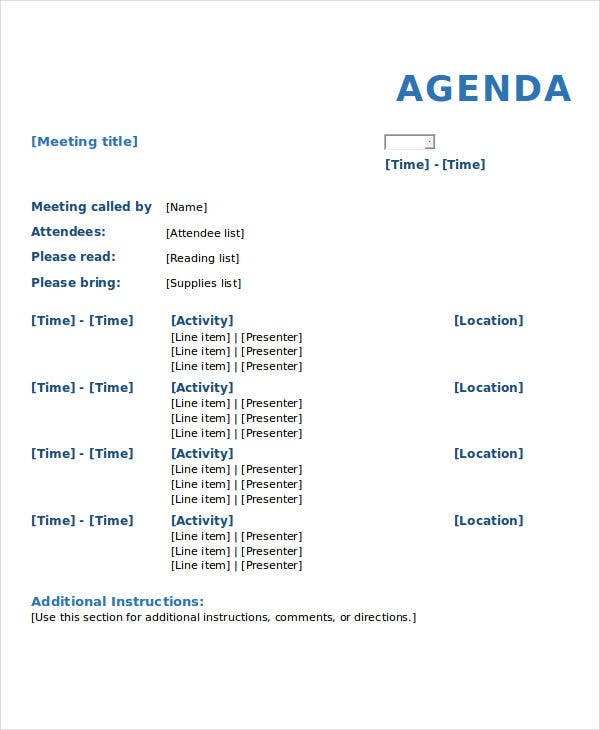 An agenda is very useful to promote a smooth-sailing meeting, and to make the most out of the limited time provided to you. To learn how to write one, continue reading on. Write the introductory details. 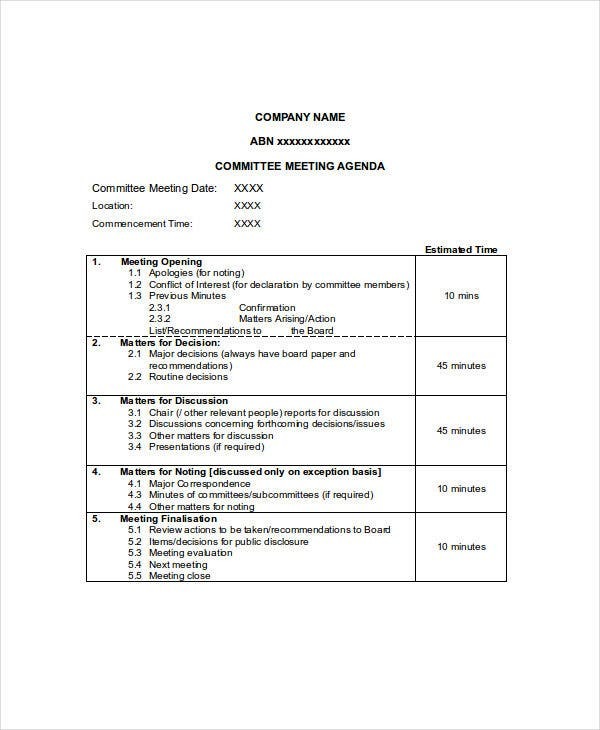 You should start by indicating the specific time the meeting will commence, and you may also write the expected time that the meeting will end. 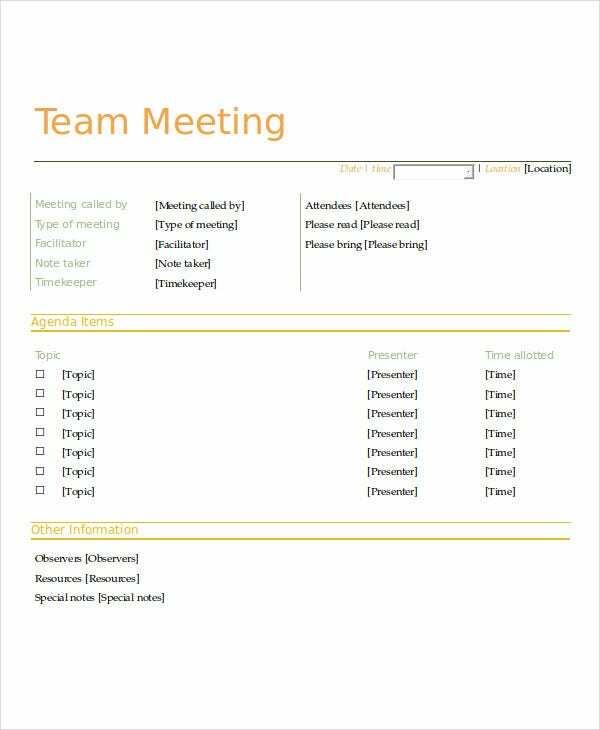 Specify the meeting objectives. State the purpose of the meeting and what you wish to accomplish from it. When writing down the objectives, make sure to prioritize them to ensure that the most important ones will be discussed. You may also write an estimation of the time allotted for each topic. Enumerate the topics that will be discussed. Make sure not to exceed five topics in a meeting because the attendees will get bored and will lose their focus and interest if the duration of the meeting is long. Write down other necessary information. 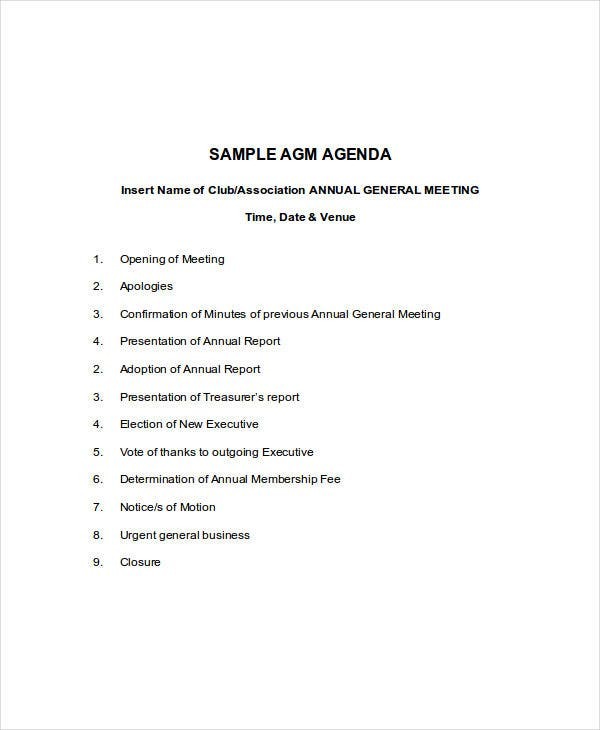 You may include some other details such as the person assigned in writing the minutes or the high-ranking members expected to attend the meeting. 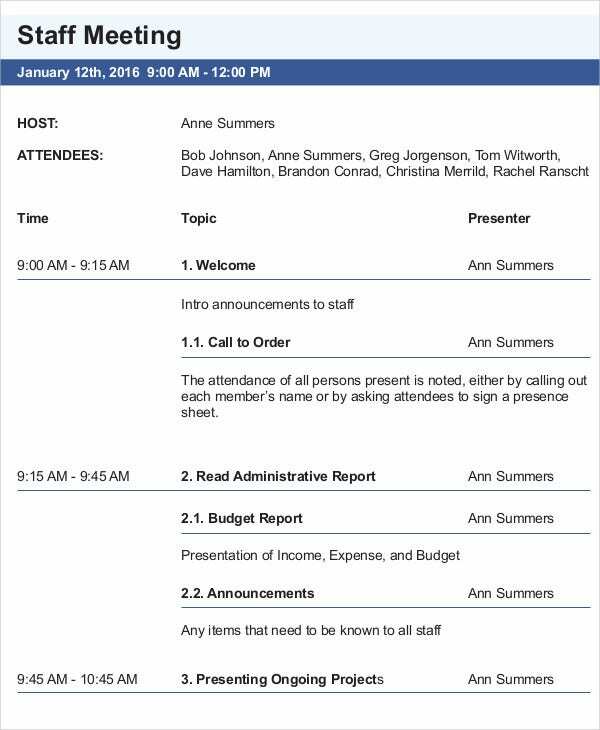 These templates were selected from among the best ones on the internet and were written by knowledgeable professionals for the purpose of assisting you in making your own meeting agenda. Downloading these templates is easy, and you could download them for free. You can also choose to save it in different formats such as Doc or PDF, depending on which one works for you. These templates are fully editable as long as you have the needed software such as MS Office and Adobe Acrobat. But you may need to have the licensed version of Adobe Acrobat to be able to edit PDF files. 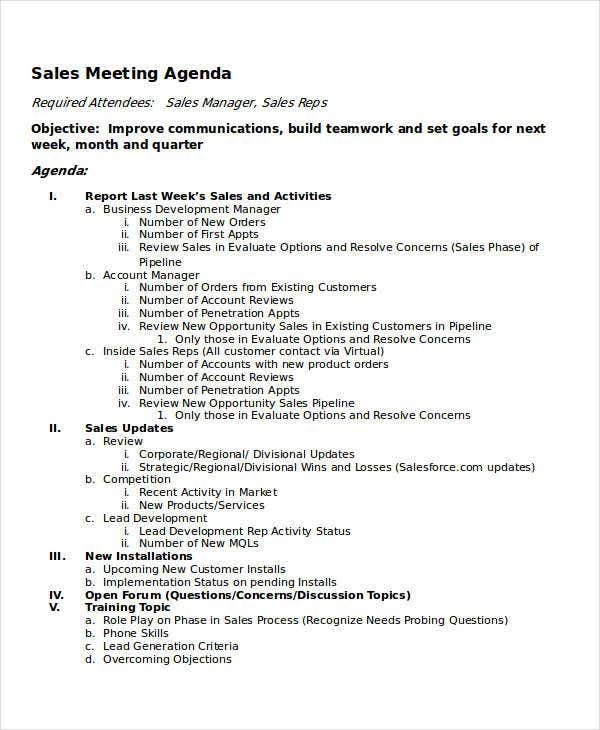 For even more agenda templates, you may also check out our collection of Business Agenda Template and Department Meeting Agenda Templates.